"It was an extremely difficult problem to produce a proposal like that in a very short time, because the government has the very natural tendency to spend an enormous amount of time getting an RFP out. Then they breathe a big sigh of relief, and they want the people to write the proposal in zero time." Frank Heart 1990. BBN Report No 1822, Interface Message Processor: Specifications for the Interconnection of a Host and an IMP (May). See FCC Computer Inquiry I (questioning whether telecommunications providers are meeting the needs of computer services). Larry Roberts, Multiple Computer Networks and Intercomputer Communications, June 1967 "The common carriers currently provide 2 or 4 wire, 2 kc lines between two points either dialed or leased, as well as higher band width leased lines and lower band width teletype service. Considering the 2 kc offering, since it is the best dial up service, the use of 2 wire service appears to be very inefficient for the type of traffic predicted for .the network. 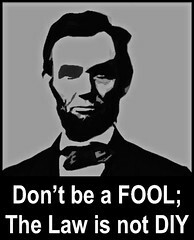 In the Lincoln - SDC experimental link the average message length appears to be 20 characters. Each message must be acknowledged so that the originator may retransmit o; free the buffer. Thus the line must be reversed so often that the reversal time will effectively half the transmission rate. Therefore, full duplex, four-wire service is more economic and simpler to use. PARA "Current automatic dialing equipment requires about 20 seconds to obtain a connection and a similar time to disconnect. Thus the response time is much too long assuming a call is made only after a message arrives and that the line is disconnected if no other messages arrive soon. It has proven necessary to hold a line which is being used intermittently to obtain the one-tenth to one second response time required for interactive work. This is very wasteful of the line and unless faster dial up times become available, message switching and concentration will be very important to network participants." Apollo 11 Goes to the Moon with Neil Armstrong stepping on the moon July 20 [Apollo] Of the two original ARPA projects, one made headlines, the public knew nothing about - both radically changed the world. Old Boys Network: The informal culture of ARPANet has been described as an Old Boys Network. Those who were on the inside were said to have the advantage in receiving ARPA funding; those on the outside were not so advantaged. [Abbate p 55] This informal culture of the community would continue into the 90s, when the Internet was privatized, and create problems. As the Internet moved from private network to public network, questions about arrangements, authority, and structures created consternation, that would be echoed for years in such forums as the COM-PRIV discussion group. Myth: The Internet Was Designed to Survive Nuclear War. Fact: This was the separate work of luminary Paul Baran. But Paul Baran worked for RAND under contract with the USAF. The ARPANet was built by Larry Roberts at ARPANet. We had no sense of one community. That others searched with us for knowledge, too. Will halt 'til it's in our computer room. But, could these new resources not be shared? Let links be built' machines and men be paired! That goal" design and build the ARPANET. Message Service: communications between different research centers (minor objective that became a major benefit and use). See Email History. CSTB, Realizing the Info Future p. 21 1994 "The purpose of the Internet, the largest packet switching network in the world, is to provide a very general communication infrastructure targeted not to one application, such as telephony or delivery of TV, but rather to a wide range of computer-based services, such as electronic mail (e-mail), information retrieval, and teleconferencing." Resource Sharing: Instead of paying for duplicated resources spread isolated at different universities, ARPA's objective was to network those computers in order to share resources and to share money. "One can envision a corporate officer in the future having many different consoles in his office: one to the stock exchange to monitor his own company's and competitor's activities, one to the commodities market to monitor the demand for his product or raw materials, one to his own company's data management system to monitor inventory, sales, payroll, cash flow, etc., and one to a scientific computer used for modeling and simulation to help plan for the future. There are probably many people within that same organization who need some of the same services and potentially many other services. Also, though the data exists in digital form on other computers, it will probably have to be keypunched into the company's modeling and simulation system in order to perform analyses. The picture presented seems rather bleak, but is just a projection of the service systems which have been developed to date. "The organization providing the service has a hard time, too. In addition to collecting and maintaining the data, the service must have field offices to maintain the consoles and the communications multiplexors adding significantly to their cost. A large fraction of that cost is for communications and consoles, rather than the service itself. Thus, the services which can be justified are very limited. "Let us now paint another picture given a nationwide network for computer-to-computer communication. The service organization need only connect its computer into the net. It probably would not have any consoles other than for data input, maintenance, and system development. In fact, some of the service's data input may come from another service over the Net. Users could choose the service they desired based on reliability, cleanliness of data, and ease of use, rather than proximity or sole source. "Large companies would connect their computers into the net and contract with service organizations for the use of those services they desired. The executive would then have one console, connected to his company's machine. He would have one standard way of requesting the service he desires with a far greater number of services available to him. "For the small company, a master service organization might develop, similar to today's time-sharing service, to offer console service to people who cannot afford their own computer. The master service organization would be wholesalers of the services and might even be used by the large companies in order to avoid contracting with all the individual service organizations. The Design Philosophy of the DARPA Internet Protocols, D.D.Clark, Proc SIGCOMM 88, ACM CCR Vol 18, Number 4, August 1988, pages 106-114 (reprinted in ACM CCR Vol 25, Number 1, January 1995, pages 102-111). In this era, computer scientists experimenting with networks had a vision that what they were doing was creating a "Computer Utility," providing networked computer service much like the electric or telephone company. p. 13-14: "Of the two, Western Union has been the most articulate in committing its future to offering "computer utility" services. The telegraph company has initiated several steps in this direction. It has, for example, computerized the switching operation of its Telex network so as to make that network compatible with Bell's TWX service. This compatibility enables Telex subscribers to communicate fully with TWX subscribers. Western Union has also introduced a management information service whereby the company will package and assume complete responsibility for computer and communication components of commercial digital information systems. It will provide the computer hardware, software, and the communications circuitry, or any one of these components. Western Union plans to open data processing centers in competition with the service bureau industry. 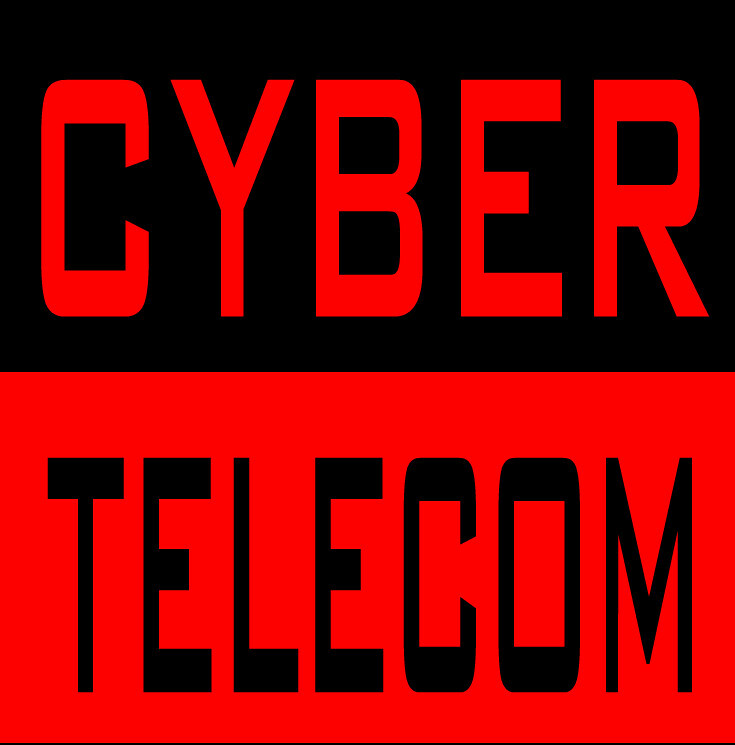 The telegraph company's message-forwarding service could easily be as extensive as its proposed data processing activities." William F Massy, Computer Networks: Making the Decision to Join One, Science 1 November 1974, Vol. 186 No. 4162, pp. 414-20 (discussing how computer utility would meet needs of university computer centers). C. C. Barnett, Jr., and Associates, The Future of the Computer Utility (1967). Larry Roberts believed that the existing communications networks at the time were inefficient and did not properly support communications for computers. 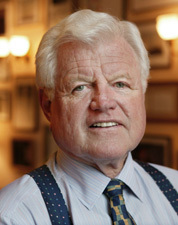 By designing a computer network, Roberts believed that he was reinventing communications, designing it to benefit from the advantages and efficiencies of computers. 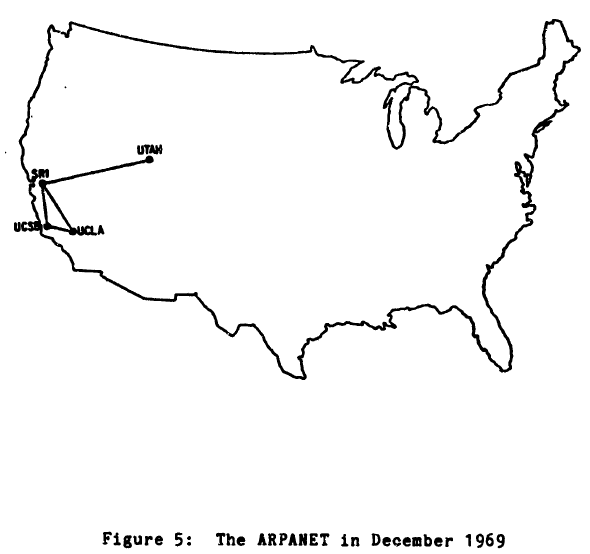 In a 1970 paper, he set out to compare the cost of transmitting one million bits of information 1400 miles (the average distance between ARPANet nodes). Roberts table above shows two things. First, it shows how compelling an efficient cost effective computer network could be, bypassing what would otherwise be significant charges from existing networks. Second, it also shows, what was subsequently demonstrated multiple times - that one of the most efficient means of transmitting data was by loading all the data on a memory device, and driving (or mailing) it to its destination. Roberts notes that a significant amount of the cost in switched networks are the switches themselves. "Previous store and forward systems like DoD's AUTODIN system, have had such complex, expensive switches that over 95% of the total communications service cost was for the switches. Other switch services adding to the system's cost, deemed superfluous in a computer network, were: long term message storage, multi-address messages and individual message accounting." [Roberts Wessler 1970] Remove the switch from the computer network and you remove the costs.